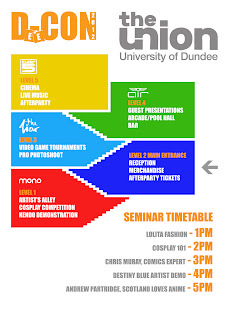 Dee - Con 2012: Venue layout. Here's a simple graphic of the Union layout to help explain where everything is taking place. We'll have fliers prepared on the day with this on one side, and the schedule on the other.